Labao Wang has been a Professor of English at the School of Foreign Languages, Soochow University, China, where he served as Deputy Dean and Dean (2002-2017). He had an MA in American literature from Fudan University, China, and a PhD in Australian literature from the University of Sydney, Australia. Professor Wang's research interests include Anglo-American literature and postcolonial literatures in English, Australian literature, literary criticism and theory, short fiction as a literary genre, literary semiotics and language teaching. Professor Wang has published widely in China and overseas. He has worked on national research projects like “Traditions in Australian Literary Criticism” and “Postmodern Experiments in Australian Fiction”, and his books include A History of Australian Literary Criticism (China Social Sciences Press, 2016, included in China’s 2015 National Achievements Library of Philosophy and Social Sciences), Australian Short Fiction in the 1980s: Continuity and Change (Soochow University Press, 2000) and The Purest Art: Euro-American Theories of the Short Story as a Literary Genre (Southeast University Press, 2006). He’s also the Chinese translator of John Crowe Ransom’s The New Criticism (with Zhang Zhe, Jiangsu Education Press, 2006) and Jeffrey Archer’s novel, Sons of Fortune (Yilin Press, 2002). He taught for the Chinese Ministry of Education an online course called “Classical English Essays: from Francis Bacon to Virginia Woolf” (2012). 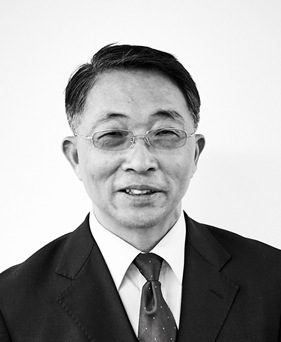 Professor Wang is currently Director of the Australian Studies Centre, Soochow University, Vice President of the Chinese Association for Language and Semiotic Studies, the Chinese Association of Australian Studies in China, and the Chinese Association for Studies in World Literatures Written in English. And he was the founding editor of Language and Semiotic Studies (2015-16). He was appointed Director of the Australia-China Institute for Arts and Culture in 2017. Australia-China Institute for Arts and Culture Foundation Director, Professor Jocelyn Chey AM, has already made an outstanding contribution to Australia's diplomatic service and to academic life. For more than 20 years she was a senior figure within the Australian Department of Foreign Affairs and Trade, where she was instrumental in helping lay the foundations for trade and cultural relations between China and Australia. Professor Chey began her career as lecturer in Chinese studies at the University of Sydney. She then moved to Canberra in 1973, when Australia first established diplomatic relations with China. Holding numerous roles within the Departments of Trade and Foreign Affairs, she worked to further Australia-China relations and was posted three times in China and Hong Kong. 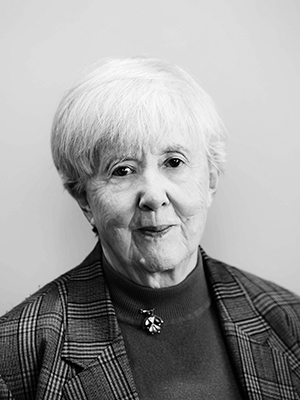 Professor Chey's many distinguished diplomatic appointments include Cultural Counsellor in the Australia Embassy in Beijing (1975–1978); Senior Trade Commissioner in the Australian Embassy in Beijing (1985–1988); and Consul-General for Australia in Hong Kong (1992–1995). Professor Chey was also the key administrative officer in the Australia-China Council at the time it was founded in 1979. From 1988–1992 she worked outside the public sector, as Director of the China Branch of the International Wool Secretariat. Now retired from the public service, Professor Chey lives in Sydney. Her most recent role before joining Western Sydney University, was Visiting Professor at the University of Sydney, where she was a consultant on Australia-China relations. Professor Chey is a frequent speaker and lecturer on Chinese affairs and history, and speaks fluent Mandarin and Cantonese Chinese. She was awarded the Australia-China Council Medal for contributions to the development of relations between Australia and China in November 2008, was made a Member of the Order of Australia (AM) in January 2009 and a Fellow of the Institute of International Affairs (FAIIA) in November 2009.